The medium of Watercolour is extensive, mysterious, beautiful and spontaneous. Understanding its nature and using it creatively unleashes a spirit and enables us to explore the wonderful world of the unknown. 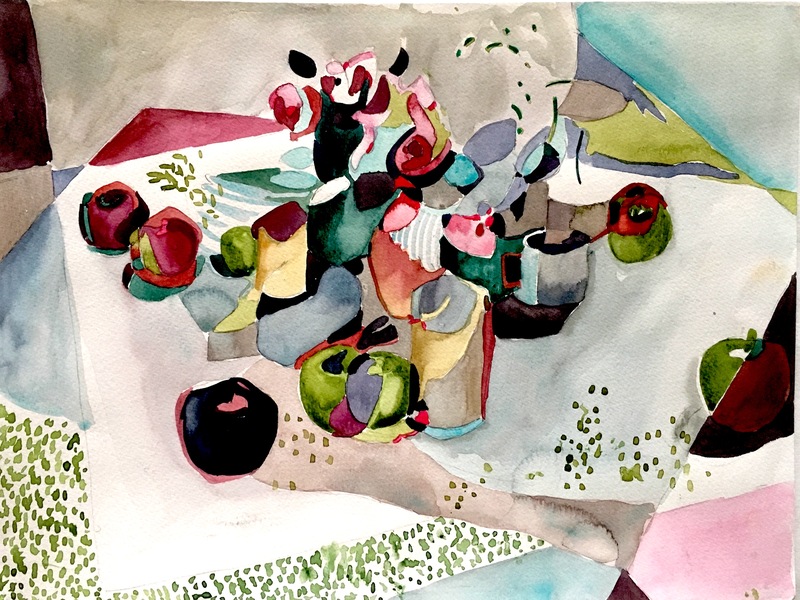 Watercolour techniques can enable the artist to explore images and concepts expressively, abstractly, realistically and intimately with the freedom that transparency, colour and water allow. Tutor, Tanya Baily will introduce participants to a variety of watercolour techniques that can enrich their ideas creatively and experimentally, including texture and ‘taking-out’ techniques. Each participant will have the opportunity to explore, discover and experiment with all the demonstrated techniques. This course is beneficial for beginners to advanced and for those with no previous art experience. 1 x large 56cm x 76cm sheet of good quality 100% cotton medium grain watercolour paper – suggested brands Arches or Fabriano, OR 3x sheets size approx A3 of 100% cotton medium grain watercolour paper.